Amidst the lush green Sapa Mountains in northern Vietnam, a textile visionary from the United States creates handwoven bags with a twist: by commissioning local weaving factories designer Danica Ratte is keeping local tradition alive. In a global economy where handmade accessories are rare and machine made products are the norm, Wild Tussah’s collection offers not only lovely bags to carry our things in but a connection to a rich history of textile technique and knowledge that supports small rural communities, while inspiring others around the world to be apart of pre-industrial artisan culture. The company’s name sake-Tussah is a type of silk produced by Asian silk worms found deep in the forest. These worms are wild and their silk is known for it’s bright golden hues and long-lasting durability. Much like this silk, Wild Tussah creates handbags that connect us to a more natural and vibrant fashion philosophy- celebrating exoticism by utilizing the originality of the artist’s hand rather than the robotic gesture of an assembly line. The brand works closely with three small weaving companies in Vietnam. Each weaver uses hand-made wooden looms to weave many beautiful colors of thread together. These weavers are extremely skilled in various techniques: which have been passed onto them from family members and local artists through generations. 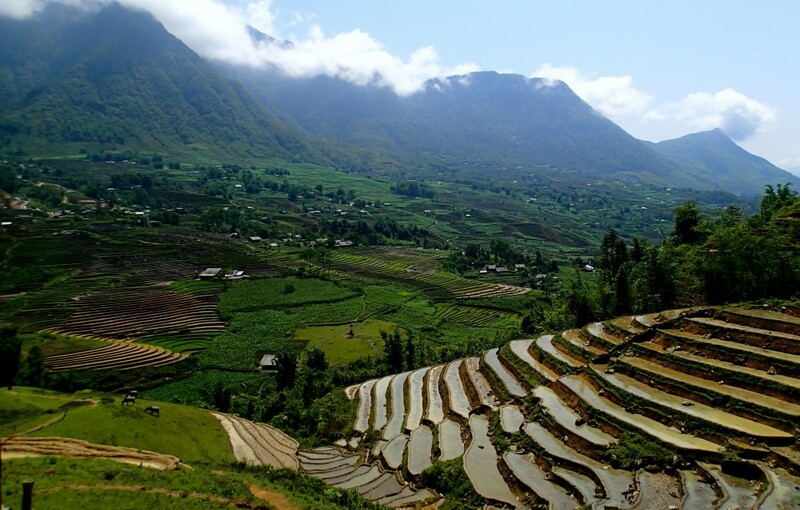 The design inspiration for the textiles comes from the surrounding Vietnamese landscape; water-soaked valleys coexist with sharp peaks of tall mountain ranges. The prevailing deep green colors are surreal and energetic. The textile patterns are complex and unique: a multi-colored surface design is complemented by vivacious hues of purples, blues, and yellows. The patterns mirror what the artisans see around them: fruit, animal-footprints, trees, and people. It is so rare to find such a strong sense of artistry in the manufacturing process itself. The weavers enjoy this work very much. The factories are beautiful workspaces where ideas can be shared and knowledge expanded. Working with looms to bring textiles to life by weaving colorful thread together seems almost therapeutic. By keeping these small artisan factories alive, a wealth of knowledge and a passion for art and fashion also thrives in the lives of community members and Vietnamese culture as a whole.